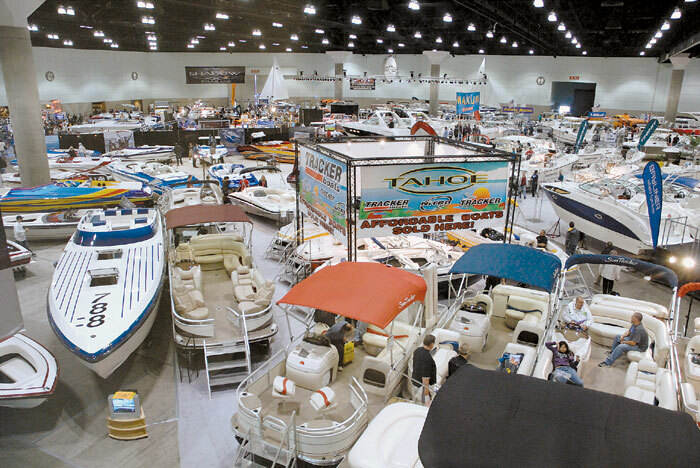 LOS ANGELES — The National Marine Manufacturers Association’s 2013 Los Angeles Boat Show will offer a new in-the-water location at Burton W. Chace Park in Marina del Rey, in addition to the main show venue at the Los Angeles Convention Center, NMMA has announced. The show, formerly produced by the Southern California Marine Association, is scheduled Feb. 7-10. According to a statement from NMMA, the show will be larger than ever, with boats showcased both in the convention center and in the water, plus thousands of the newest marine accessories and gear, along with daily educational seminars and fun for boaters of all ages. Attractions at the 2013 show will include “Fred’s Shed” do-it-yourself seminars and an Interactive Learning Center, a “Welcome to the Water Center” with resources to help people get started in boating, DEMA’s “Be a Diver Pool” where visitors can try scuba diving for free, a “Powerboat Docking Challenge” competition, a Very Important Boater (VIB) Night with $5 admission after 5 p.m. on Friday, celebrity appearances by Phil and Bob Soven from MTV’s “WakeBrothers,” and a Southern California Speed Boat Club boat display and driver meet-and-greet event. The show’s title sponsor is Progressive Insurance. For more information, visit losangelesboatshow.com.